Today’s post really packs a punch!! 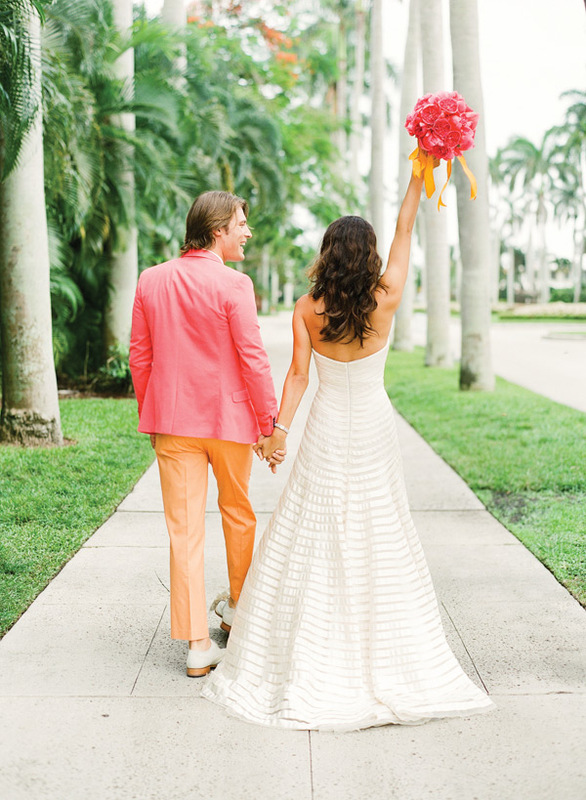 We’re so excited to share the perfectly pink + orange Lilly Pulitzer shoot that we helped to produce!! 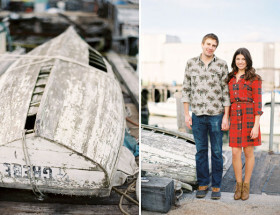 Featured in the latest issue of Southern Weddings Magazine, these photos by KT Merry are some serious eye candy. 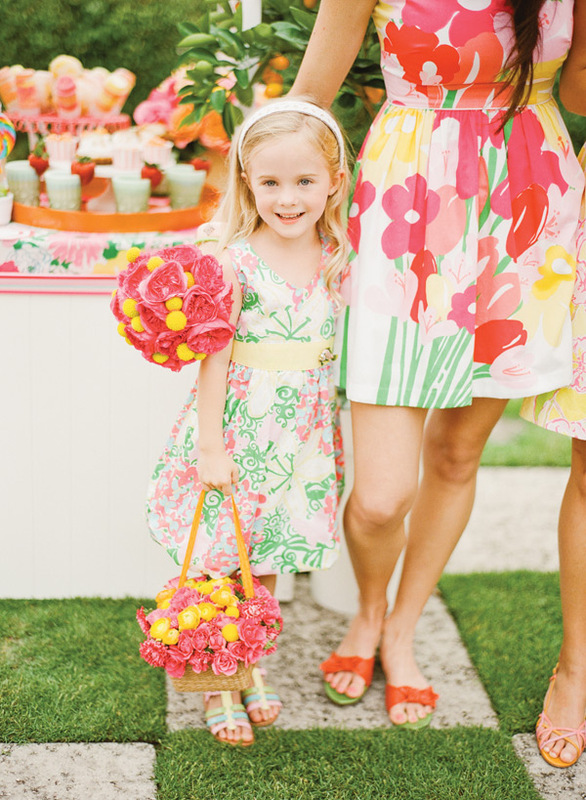 From the playful Lilly bridesmaid dresses (we love this one too!) 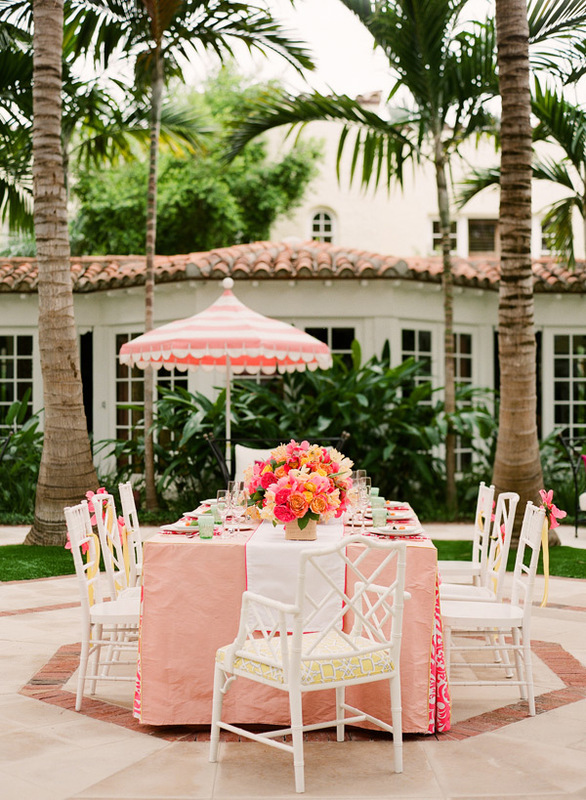 to the pink table setting and vibrant dessert stand (cake push pops by Cupcakes Couture of Manhattan Beach? YES please! 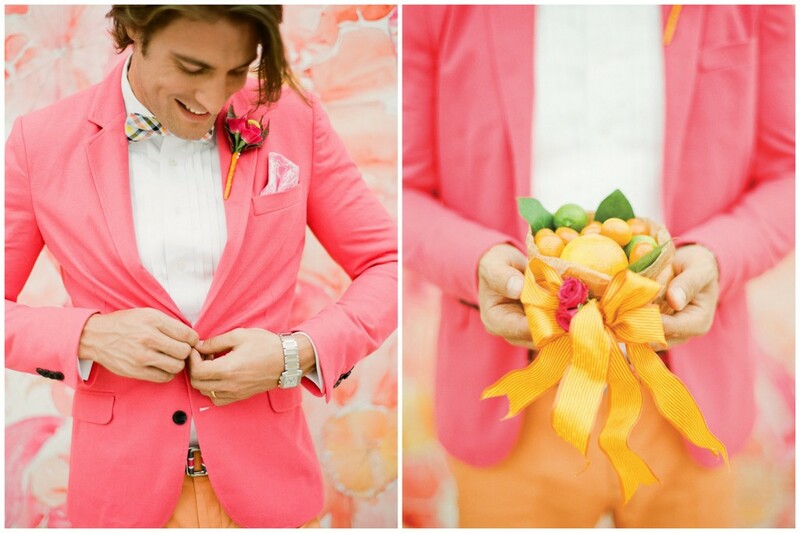 ), we can’t choose our favorite aspect of this shoot. 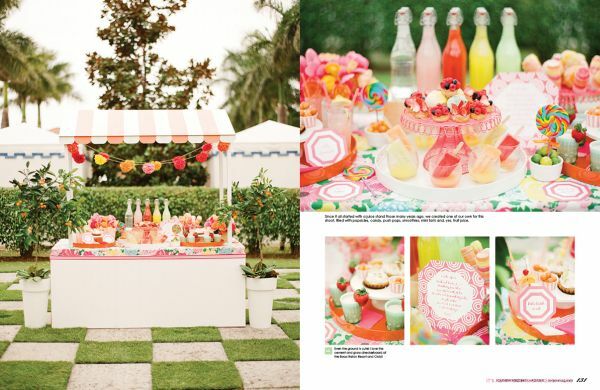 Lucia Paul Design did an AMAZING job incorporating super fun elements + décor, don’t you think?! 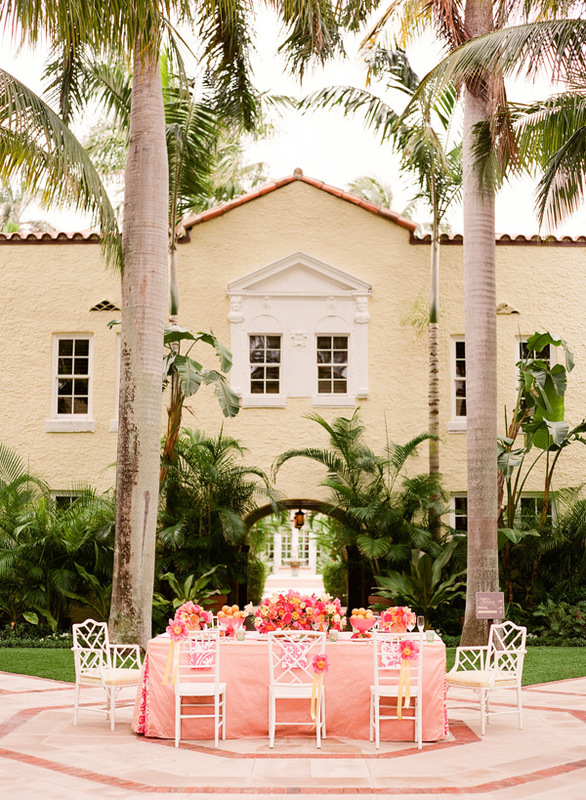 One look at this shoot, and you’ll want grab those monogrammed totes + board the next flight to Palm Beach!! 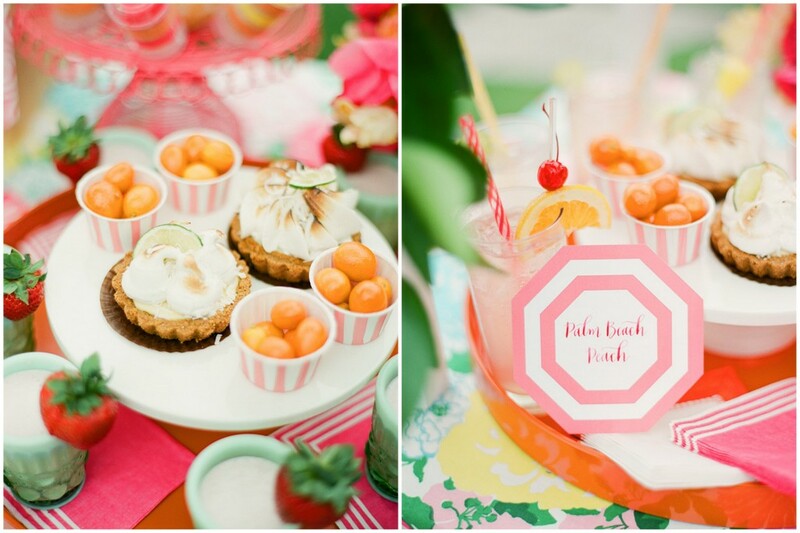 How pretty are these colorful table cloths! Check out the ribbon hangings on the chair! 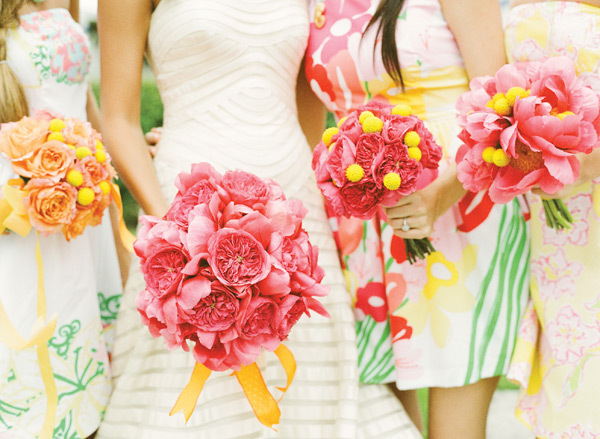 How gorgeous are these dresses + bright bouquets?! 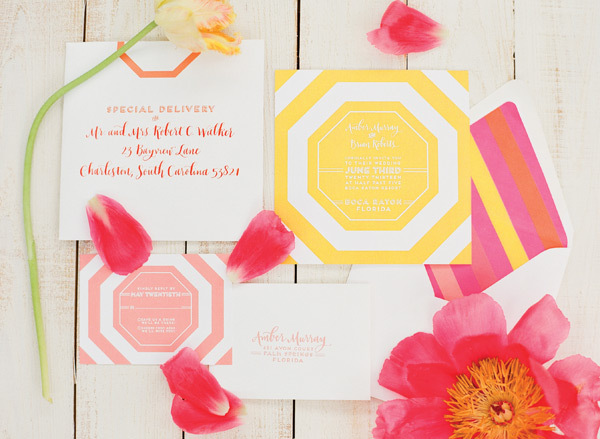 Love these bright geometric patterned invitations! 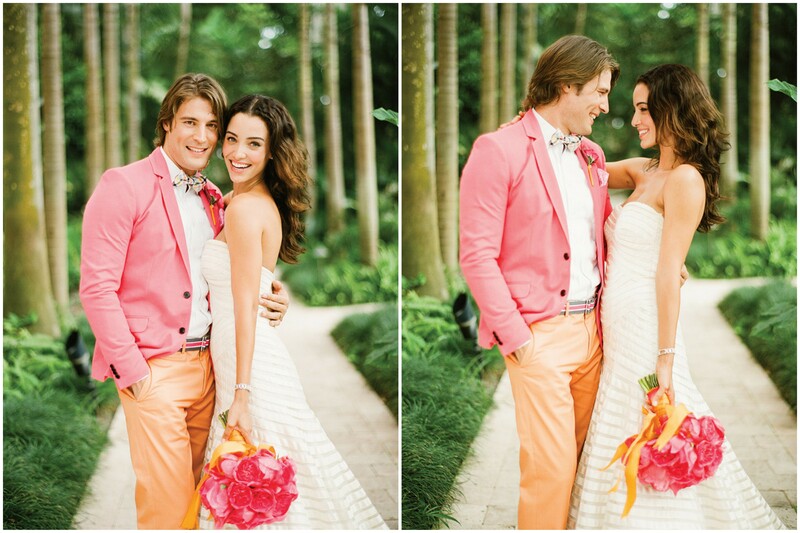 Check out the groom’s mismatching pink + peach suit! 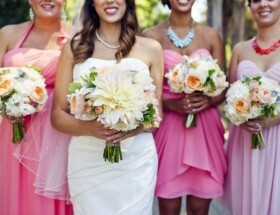 How pretty are all these pink and peach bouquets! 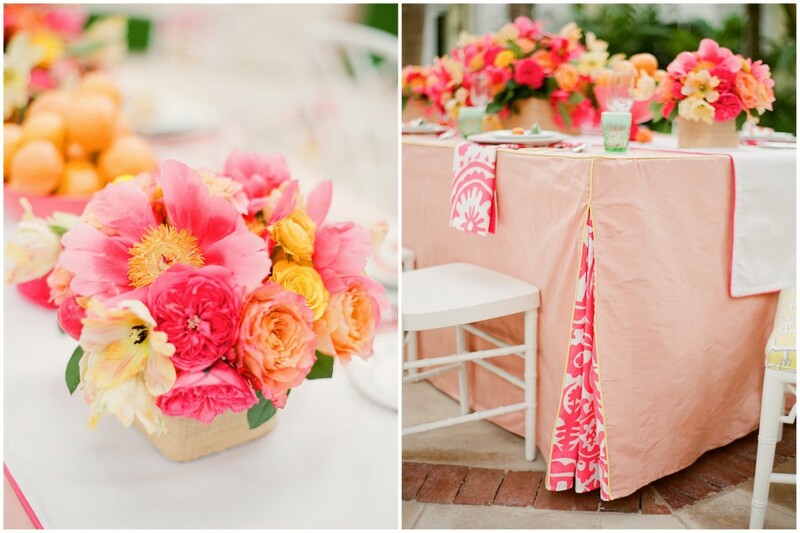 This pink and orange tablescape is so dreamy and just bursts with color! 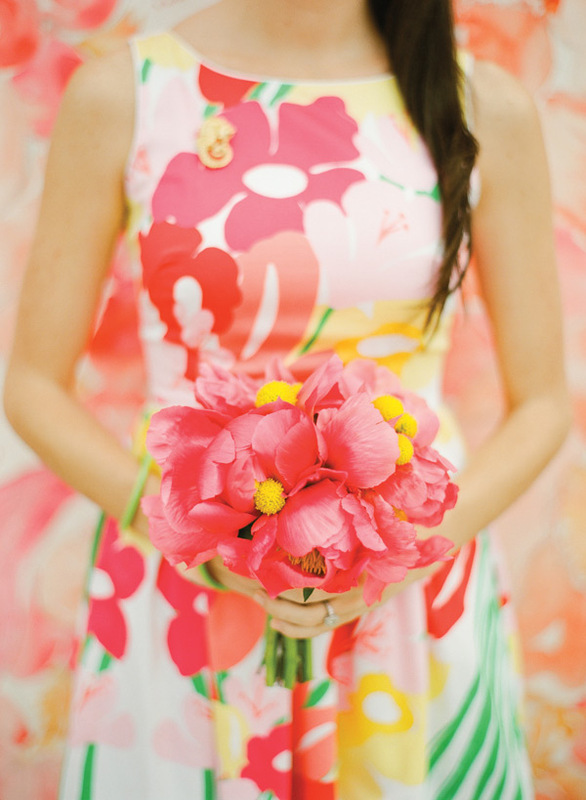 Amazing bright florals by 50Fifty Creative Services + custom linens by Nuage Designs! 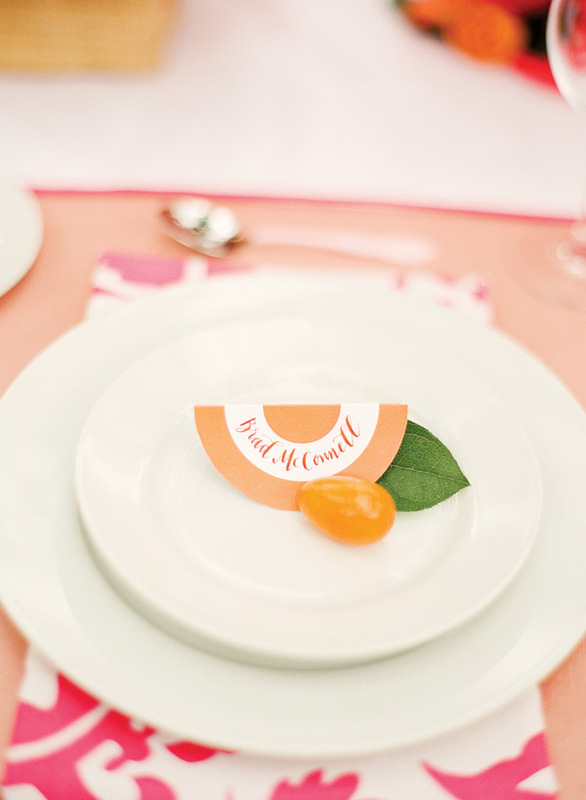 Mod orange place cards by Fig. 2 Design! 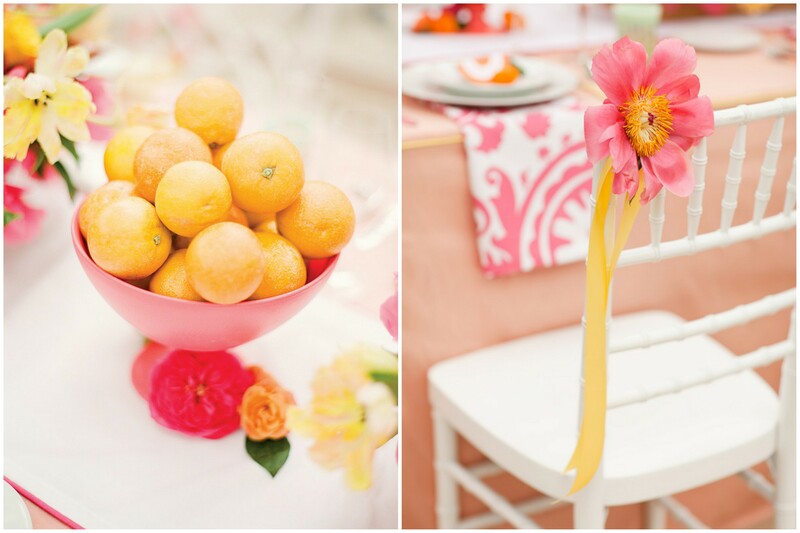 Love that so many citrus elements were included in the tablescape! 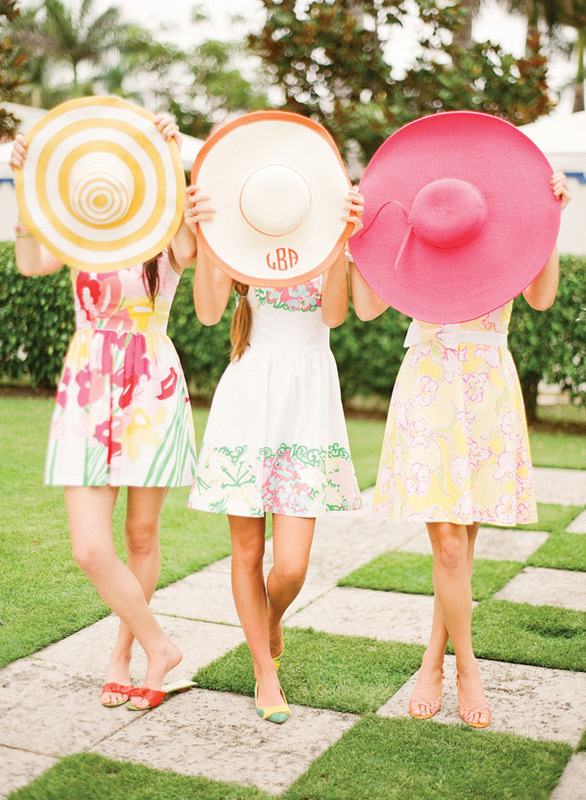 Bring on the monograms! 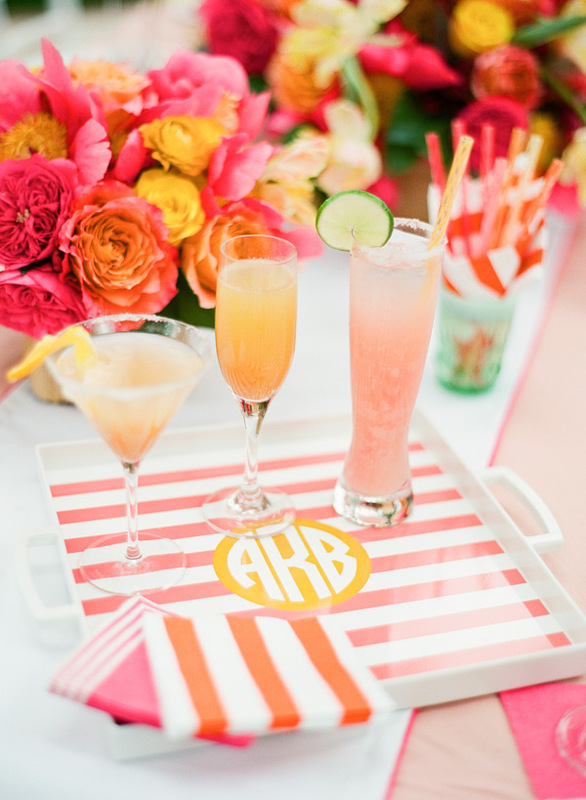 How cute is this monogrammed striped tray? 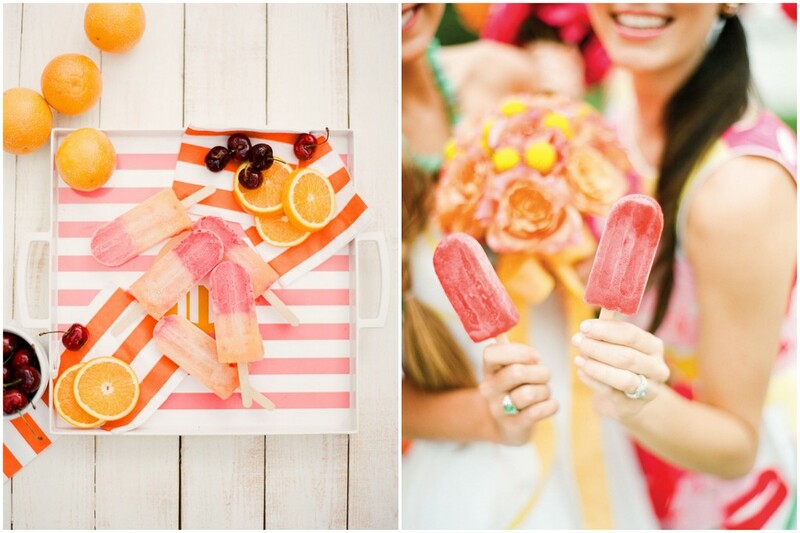 Big + bright floppy hats for the bridesmaids! 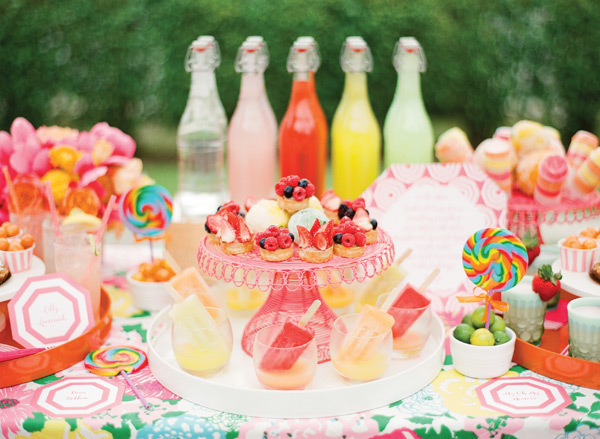 This is one fun and festive dessert station! Love these unique bottles! 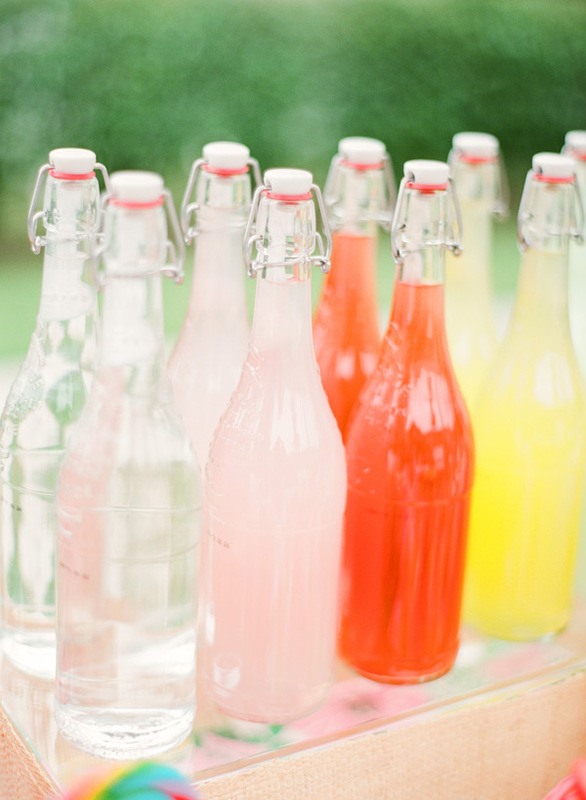 What a cute way to display drinks! 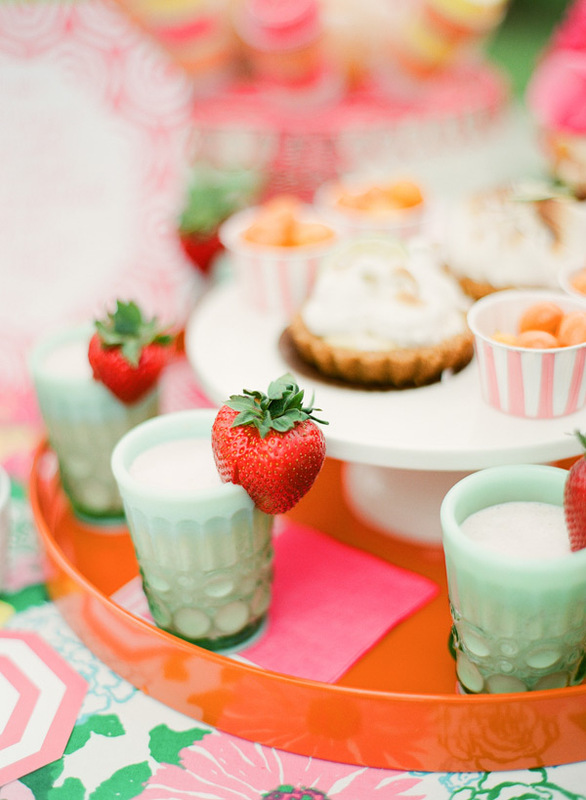 Love this colorful dessert table! 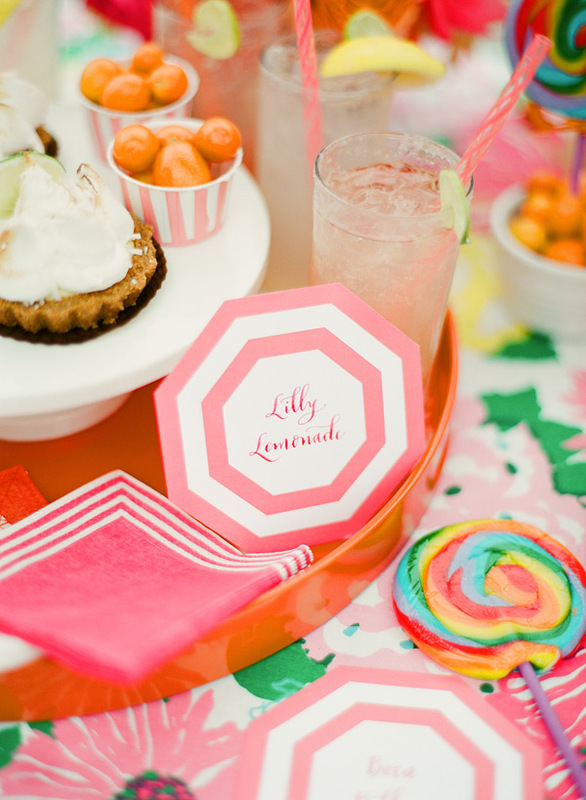 Check out how they used swirly lollipops to add some creativity to the table! A fresh piece of fruit is always a great addition to a refreshing drink! 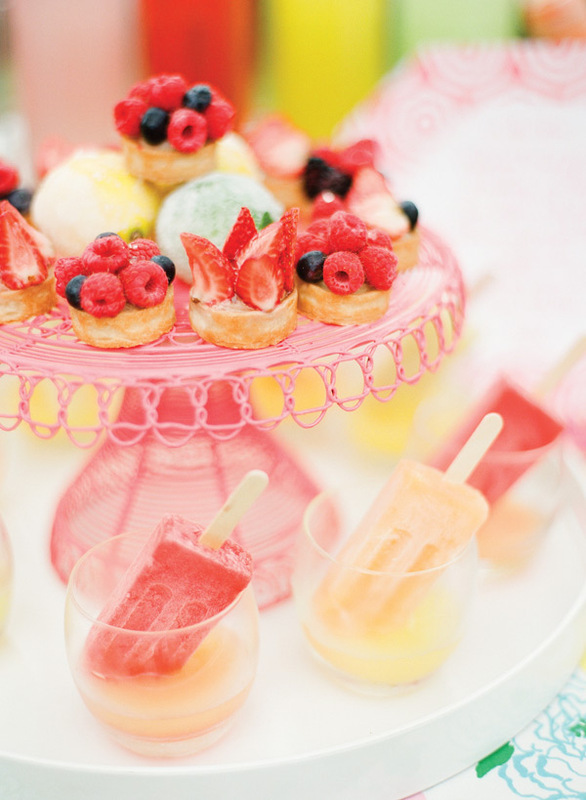 These are the perfect desserts for a hot day! 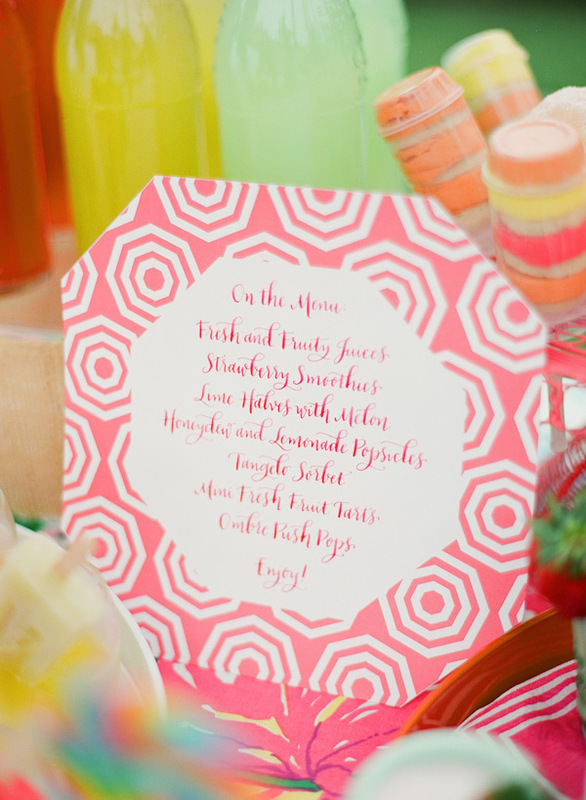 Lollipops and fruit tarts! 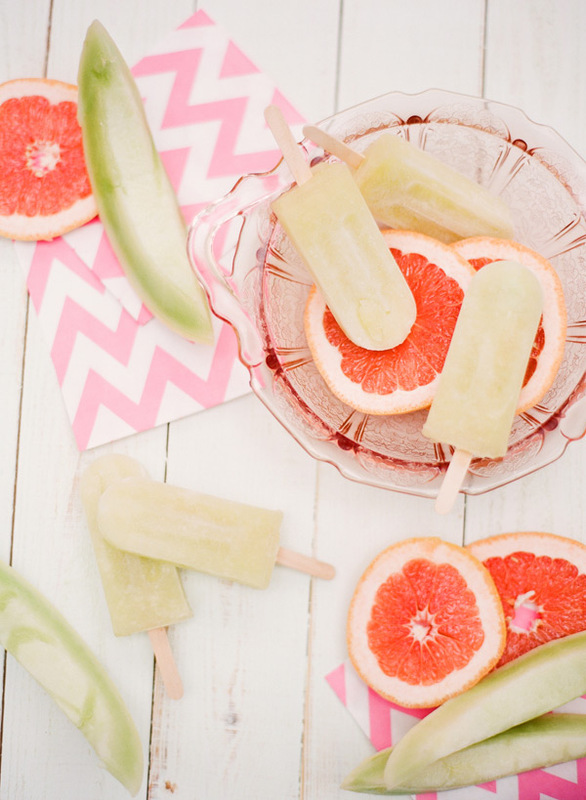 Melon popsicles + grapefruit slices? Yum! 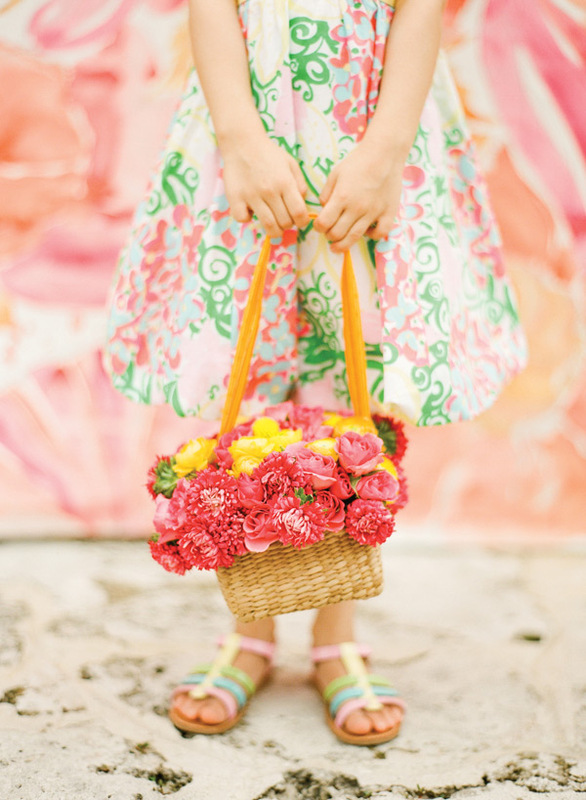 Look at the flower girl’s adorable bouquet basket with pops of pink + yellow carnations! 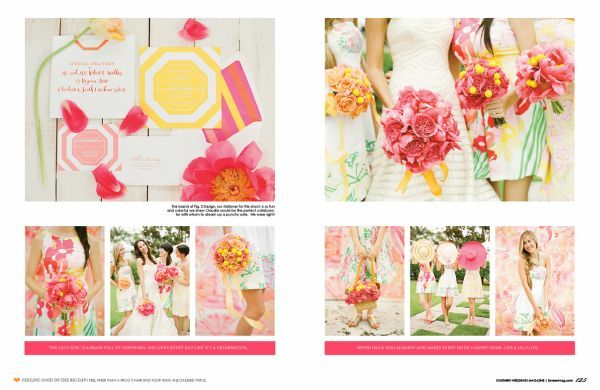 A peek at our 15 page spread in Southern Weddings Magazine!! 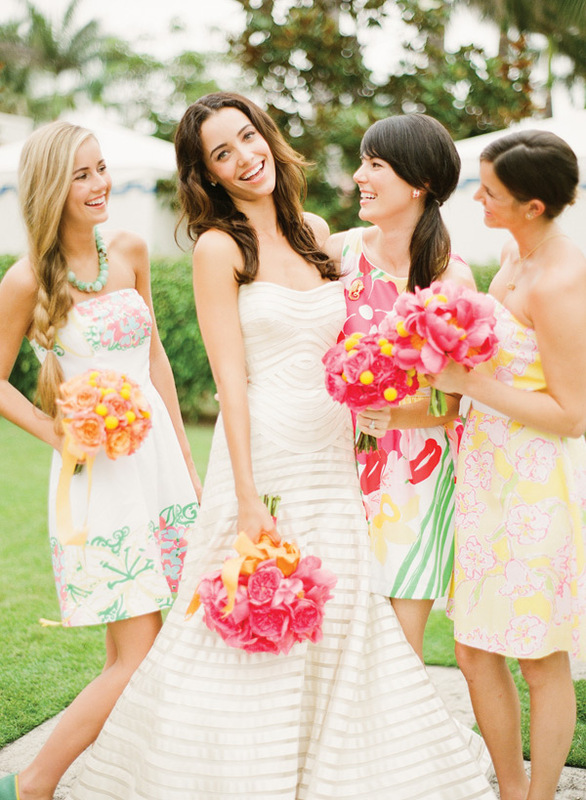 @weddingPR @LillyPulitzer @ktmerry So fresh and lovely looking! Thank you so much for this sharing shoot! It was so much fun to collaborate with you! Cheers to next time! 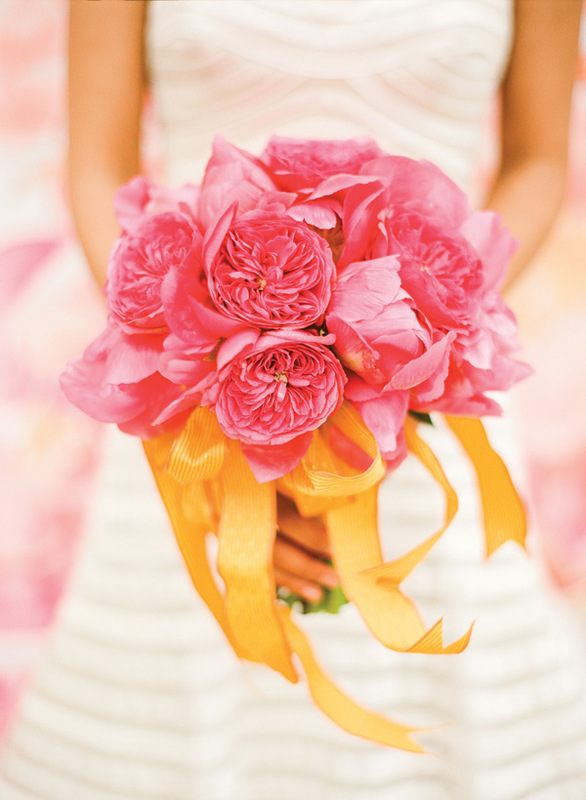 Just bursts with color! So inspiring! 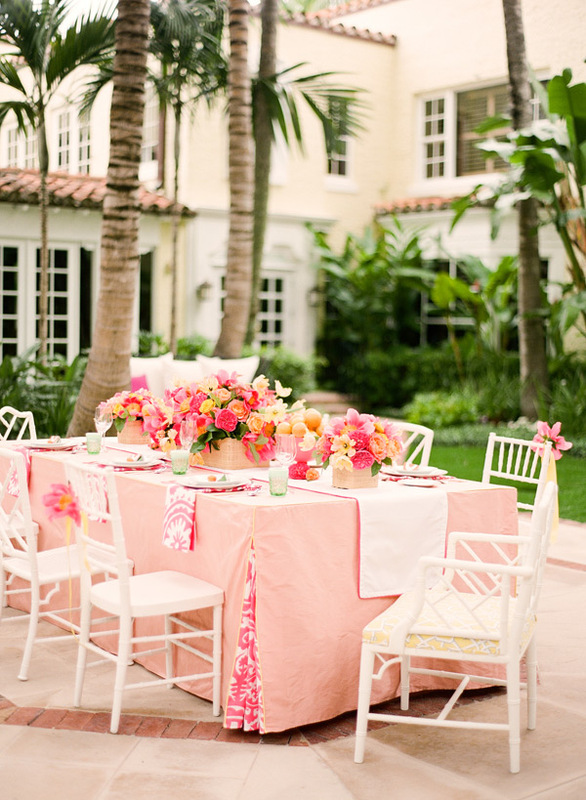 Love the table setting! 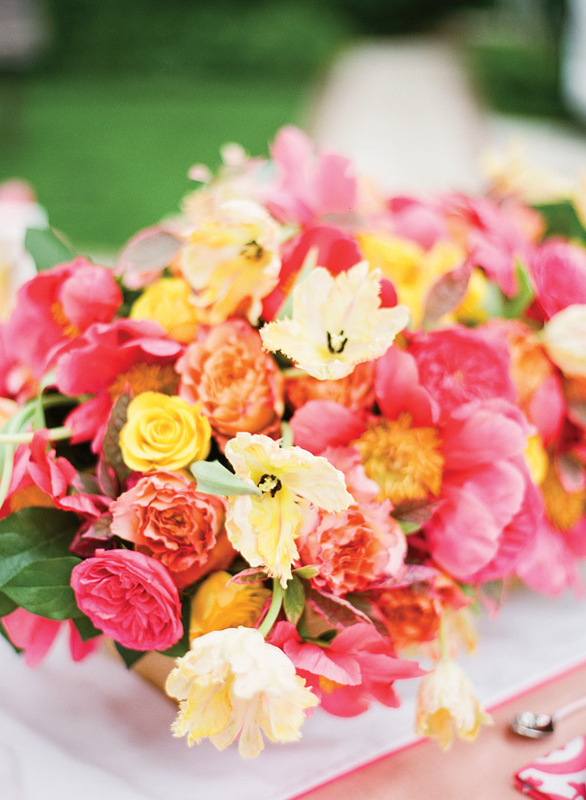 those flowers are just gorgeous! 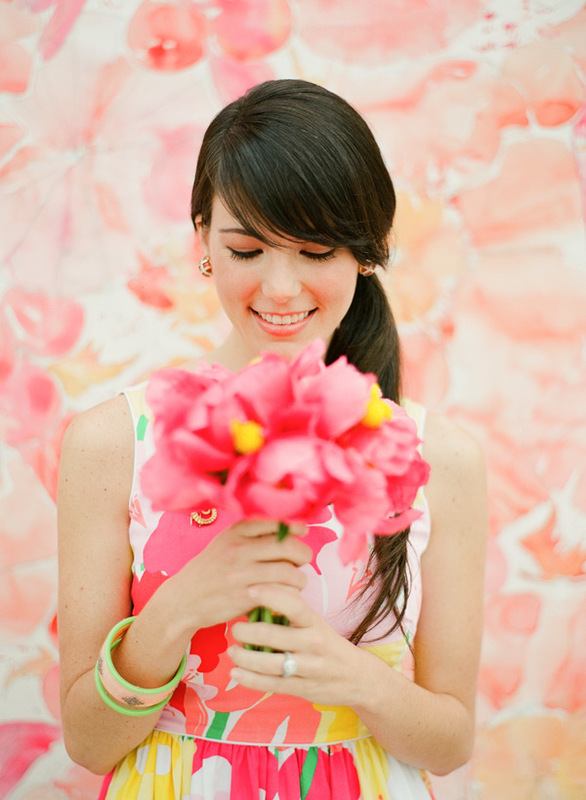 I adore everything about this shoot! 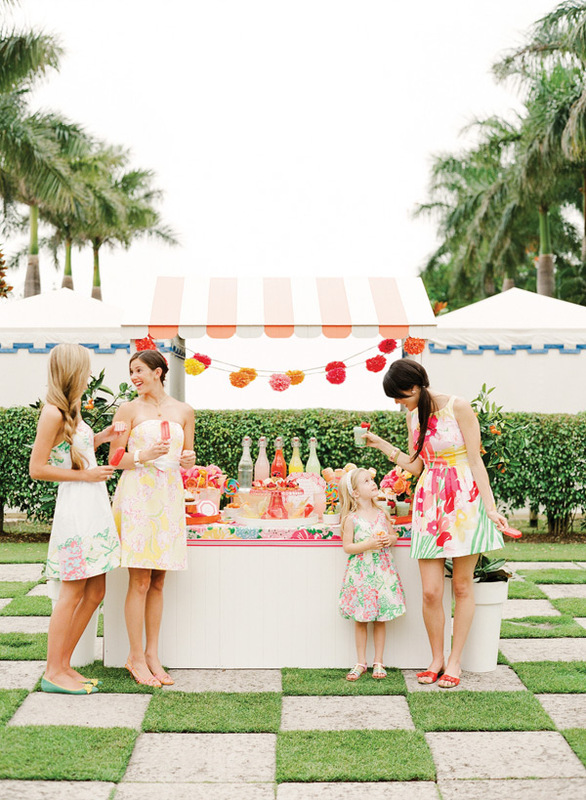 Makes me want to sip a lemonade and play some croquet! Love the details! Just perfection! i love this dress. i got it. it was kind of bright but it wasn’t hideous. it’s very flattering. My name is Mami Koike of Yahoo! JAPAN Corp.
It’s very nice to talk to you here this time. I’m writing this email to ask you to provide us with your photos on our web service. Please let me introduce myself first. I’m in charge of internet wedding service of Yahoo! JAPAN http://www.yahoo.co.jp/. Currently, we are planning to create new wedding information website that provides lots of “cute (so-called Kawaii in Japanese)” and “sophisticated” wedding related photos. 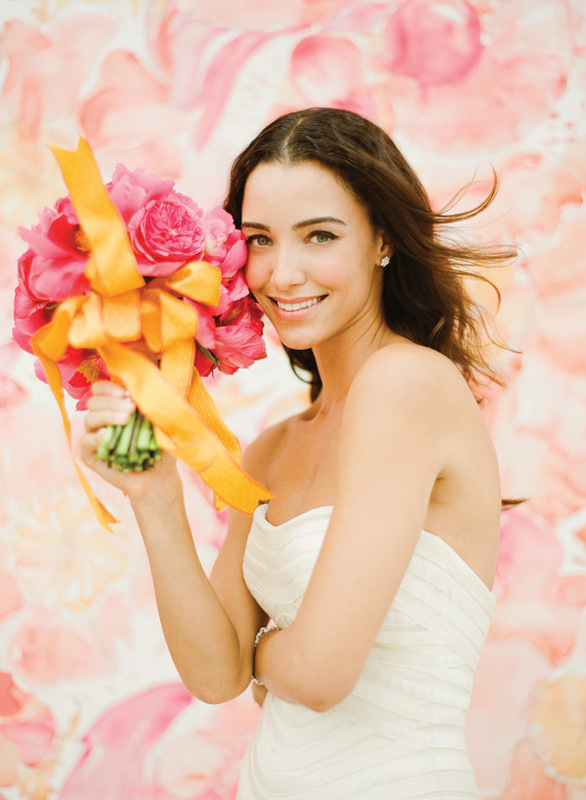 With the photos, we would like users to feel joy, happiness, and enchantment of wedding ceremony and would like to back up their motivation for it as well. In order to create our site, it would be greatly appreciated if you allowed us to use your photos on our website. Please kindly consider our offer and if there is any terms and conditions for its usage, please let me know. In addition, if there is any other information that you would like to tell us, please let me know as well.